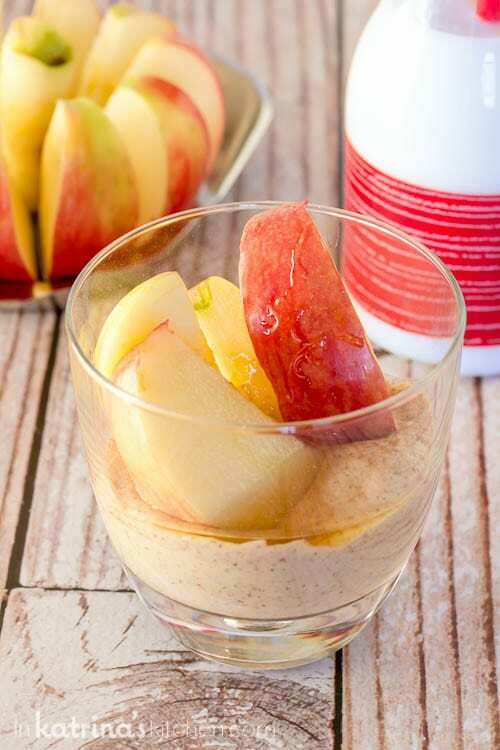 This High Protein Fruit Dip gets a double bump of protein with tangy Greek yogurt and creamy almond butter. Add honey and cinnamon for an easy sweet treat! You guys know I’m all about crazy-over-the-top desserts here, right? Mounds Brownies…need I go on? But I think that every day should have a little sweetness in it. That’s why you’ll always be sure to find my outrageous sweet treats alongside delicious desserts wholesome enough to enjoy every day. 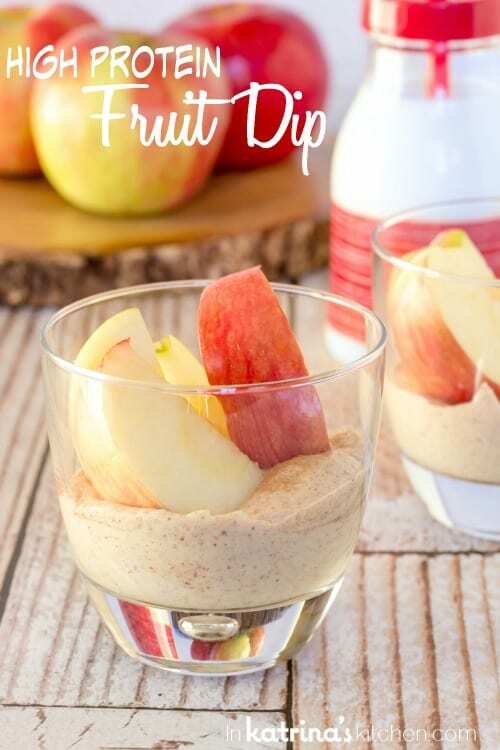 This High Protein Fruit Dip is the perfect afternoon pick-me-up and it’s just sweet enough to put a smile on my face! An extra drizzle of honey and dash of cinnamon puts these gorgeous apples right over the top. I really love using Greek yogurt just about every day. Breakfast, lunch, dinner, snack, dessert- I really do sneak it in wherever I can. I always have it on hand and my family loves it too. It’s the perfect way to bump up your protein count and make any dish more filling. As you know I will be representing the American Dairy Association Mideast at the BlogHerFood Conference in Chicago later this week. The ADA Mideast represents dairy farming families in Ohio and West Virginia. We will have a booth in the Exhibition Area at BlogHer Food. So be sure to visit to learn about milk’s amazing journey from farm to your refrigerator and get all of your questions about dairy answered! Also we’ll be serving up some of my favorite cheese including Premium Swiss Guggisberg Cheese- 2015 United States Cheese Grand Champion. We literally have THE BEST CHEESE in the United States! In addition to that you can drop off your business card to win a Go Pro. We’ll also be serving samples of the following recipes… so much going on! Stop by and say hello- I can’t wait to meet you! Drizzle with extra honey if desired before serving. 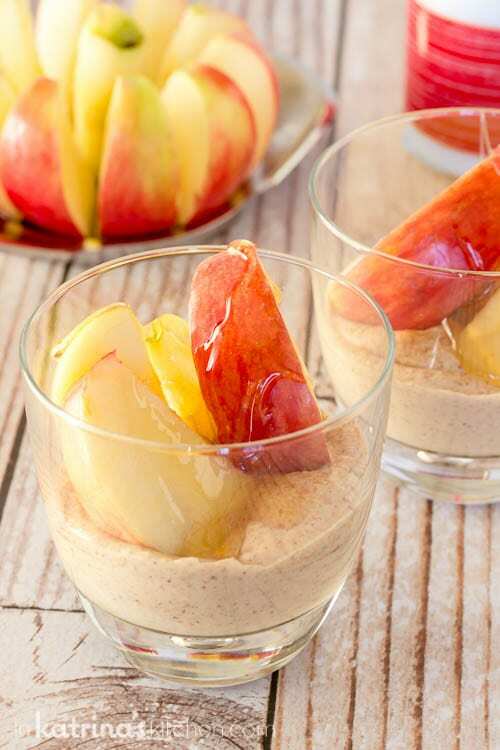 Serve with apple slices, graham crackers, pretzels, cookies, and more! I have made this recipe with plain Greek yogurt, vanilla Greek yogurt, and pumpkin Greek yogurt. oh how I’m kicking myself for not going to BHF!! These look like the perfect afternoon treat. 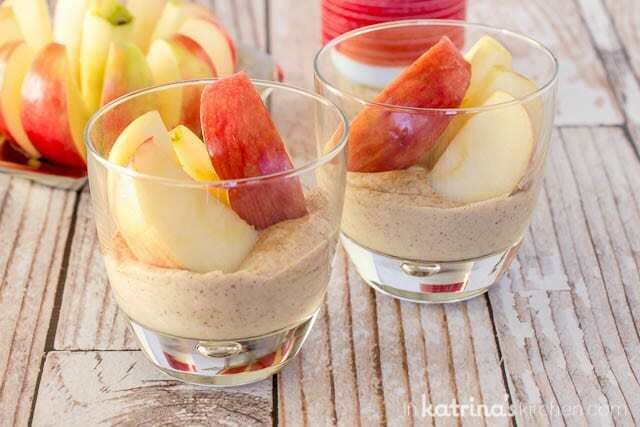 I’m always picking up apples, but then rarely grab one to eat because they seem so boring………so this dip is perfect! Fruit is so much more fun to eat with a side of a dip! 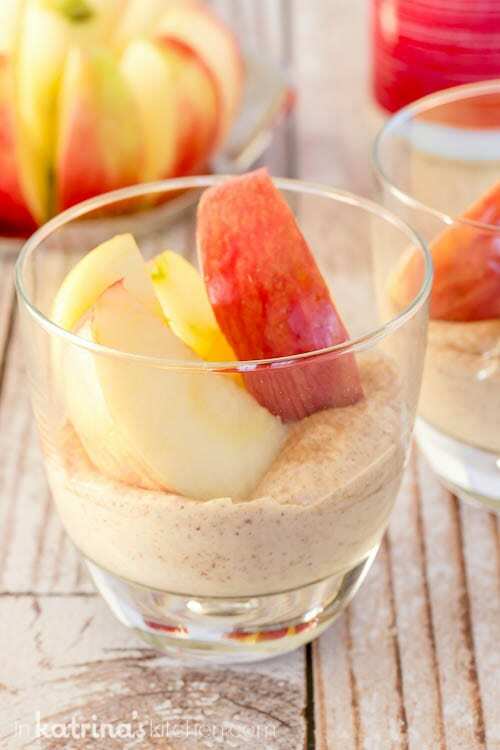 My kids will go crazy for this healthy treat! I’m always looking for healthy snacking options. This recipe looks amazing! Oh I love this yogurt dip so much! What a fun snack, my kids would LOVE this! This is dip is full of my favorite things and I love almond butter on apples so I bet all mixed together it’s fantastic! I was just browsing pinterest when I saw this. It looks so good! Now you said that you have made it with plain Greek yogurt, vanilla Greek yogurt, and pumpkin Greek yogurt. Which do you like best? Also for the Greek yogurt do you buy 2% or something else? Thanks! For those who are allergic to nuts, is there another option to almond butter? Sunbutter, made from sunflower seeds. My son is allergic to nuts and he eats this every day. Same texture and consistency as peanut butter. There are lots of alternatives like sunbutter, Biscoff, and Wowbutter on the market. Always be sure to check with your doctor or allergist if you are unsure of the safety of any food product. could you provide the calories and also the grams of protein, carbs, and fat for this dip!? Hi Devin, I don’t provide this info because it can vary depending on which brands you use. It’s fairy easy to pop it into My Fitness Pal or an online calorie counter. Thanks for stopping by! A fun idea for healthy-yet-sweet lunch box addition. I’ll have to start adding it in the kids’ lunch boxes this fall! This is delicious! I could eat this every day!! I’ve had with a nectarine and a peach so far, but think it would be great with apples, grapes, and really any other fruit.